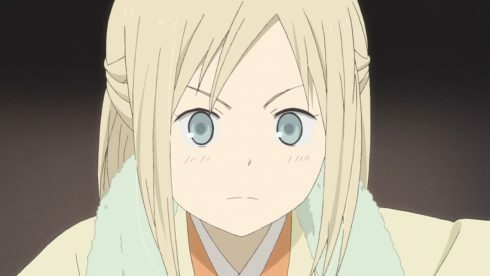 It never fails to amaze me how Natsume over the course of 20 minutes can make me care so much about the story of a new character. I’m not even sure we ever got a name to call her, but I was still completely pulled into her story. Even more so than last week, this was an episode that really hit me with that familiar feeling. 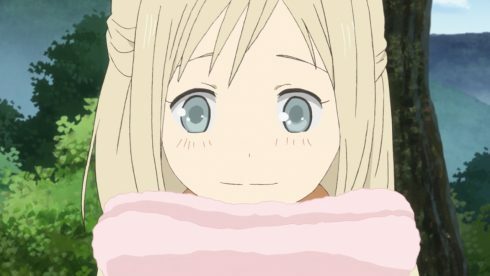 It was just that emotional gut punch that made me feel terrible at one moment and still end the episode with a smile the next. This kind of episode is exactly why I enjoy this show so much. We meet a new youkai, Natsume gets involved with her, and by the end I’m just floored by how the episode unfolded. Just one of those “I really do love this show” kind of episodes. You could easily call this a one-shot episode and there is nothing wrong with that. 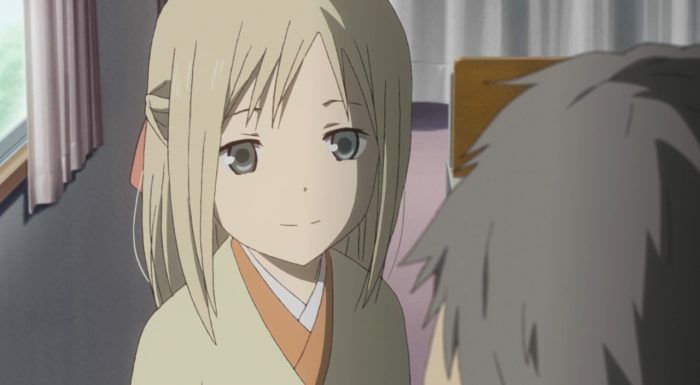 I don’t know if we’ll see this youkai again in the future, although I would definitely like it if we did. Just a really likable character. 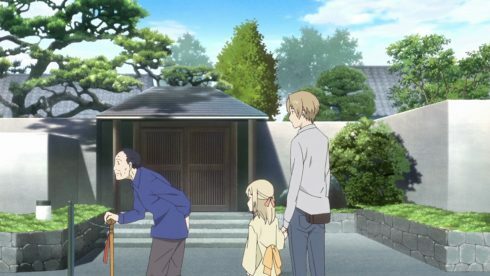 This girl had such a memorable encounter for her and for 50 years continued to try and get the attention of this man (Sougo) once more. It is only natural that he would have forgotten a single moment like that while for her it was a moment that was unforgettable. All she wanted to do for years was be able to speak to him once more and return the towel. The passage of time is a powerful tool in this show. Youkai are beings with such a different sense of time than humans because of how much longer they can exist. Before they know it…decades can pass. 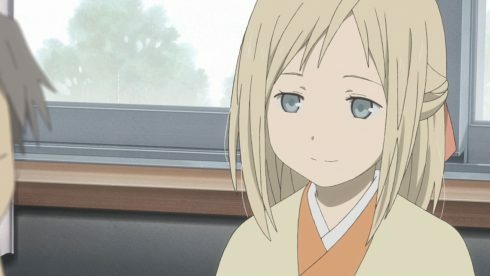 Thus why so many youkai mistake Natsume as being Reiko despite the fact that it’s been decades since they last saw her. It really can make things all the more unsettling and tragic. 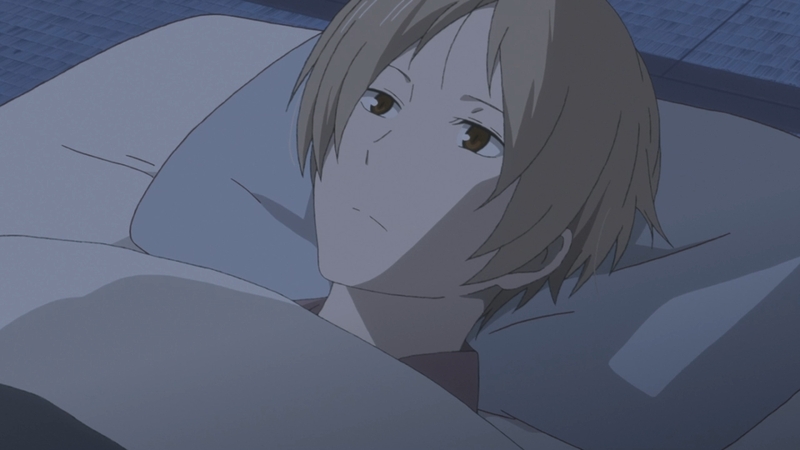 There was a good chance Sougo wasn’t even alive and Natsume understood that. But this showed the other side that someone can be alive, but after 50 years…they won’t remember a single event from that far back. For Sougo it was just finding a kid playing in the rain and giving her a towel. He might have wondered about that kid for a while, but as his life went on that even just faded into the past. Natsume tries to stay out of things unless he can see an immediate need to get involved. I can understand him not wanting to jump in with such a vague and difficult mission. He does still try to act indifferent and move people along. 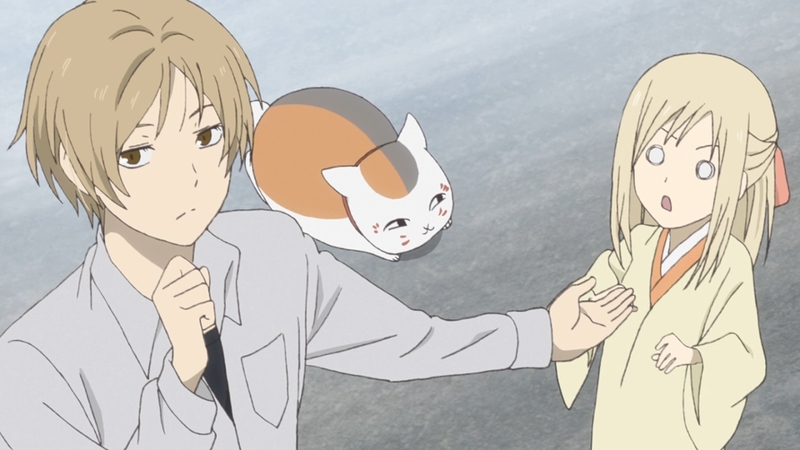 But in the end when faced with such a heartfelt plea…Natsume can’t turn his back. 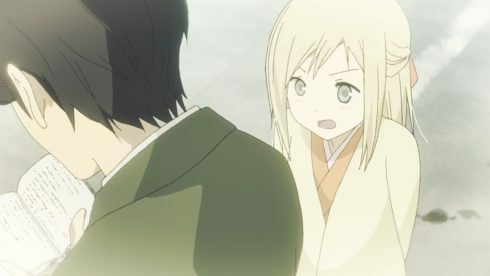 And more than that Natsume will throw his whole being into something once he is involved. There was no way this youkai girl was going to ask much more from him than he had given after they found Sougo. 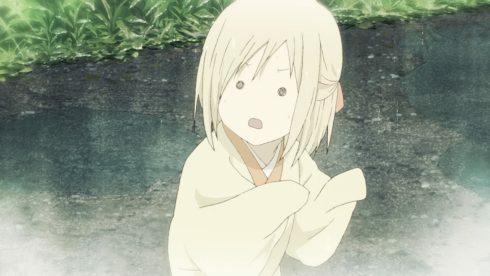 Natsume had no obligation to go back and try to get a gift that the girl could remember Sougo by. That was all him and Natsume showing his true colours. He really is just a kind and giving person. It is such a tough thing to be the person in the middle sometimes. Natsume can’t give the whole truth since people won’t believe that a youkai asked him for help. So he has to play around with it and fudge the details. Sometimes that doesn’t work out and sometimes it does. In terms of the granddaughter the key was just getting across his earnest feelings. This episode was all about those earnest feelings. 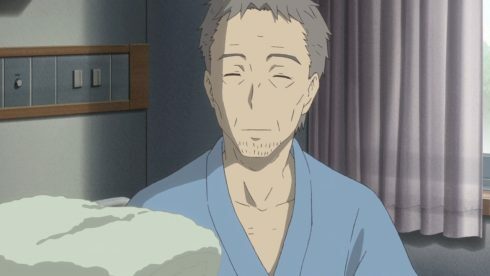 It was both the feelings of the youkai who for 50 years watched Sougo and Natsume’s wish to make that encounter happen. Truly a heartrending moment when it was confirmed that Sougo didn’t remember. That moment when she appeared and you hope against hope that he might be able to see her. But in the end a miracle didn’t occur. 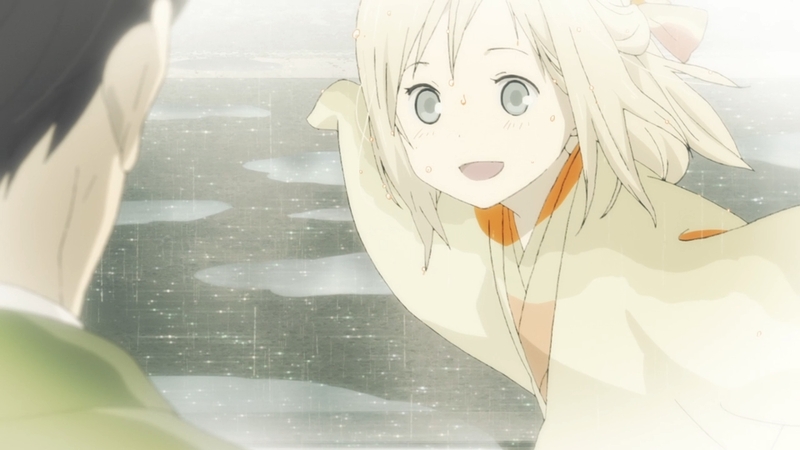 She handled that sadness and disappointment with impressive stoicism, but in the end it still hurt to watch. 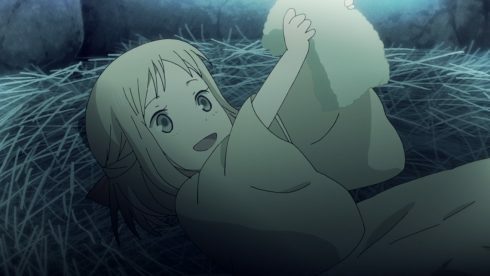 Can only imagine how Natsume felt at that moment. Thus I can definitely understand why he would go so far and try to at least end this story on a good note. That led to some continued growth for Natsume as he thought about the situation. It is true that encounters between youkai and humans can often lead to sadness…but there has to still be a value to them. Certainly there had to be sadness for that youkai girl in not being able to speak to Sougo again. But wasn’t there still valid happiness that came from it as well? It’s that kind of thing that Madara really can’t answer. Sometimes it is better to just stay silent. It was nice to have the mention of Taki in this episode. I tend to agree with Natsume that it was better not to ask for her help on this one. There was no telling if the circle would work and even if it did…Sougo probably wouldn’t remember her. Plus I like that he was also thinking about Taki as well. That girl went through untold torment because of an encounter through that circle. Bringing up bad memories would be painful for her. 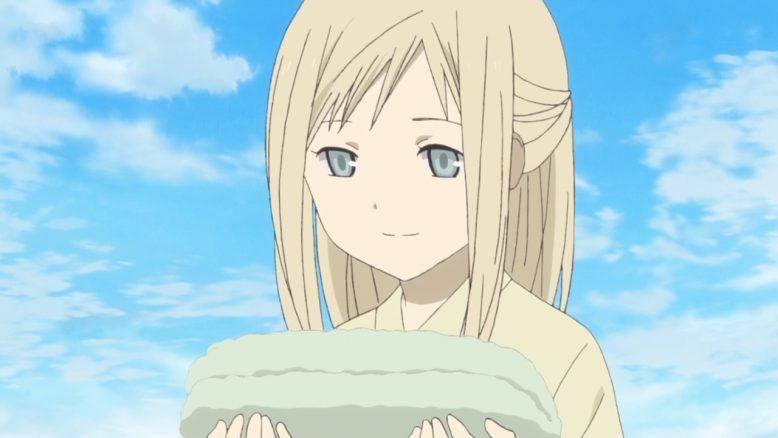 Although I do think Taki would shoulder any kind of pain in that sense if it meant helping out a friend like Natsume. Hopefully we see her sometime in this season. This was another great episode, although it was a kind of painful one. 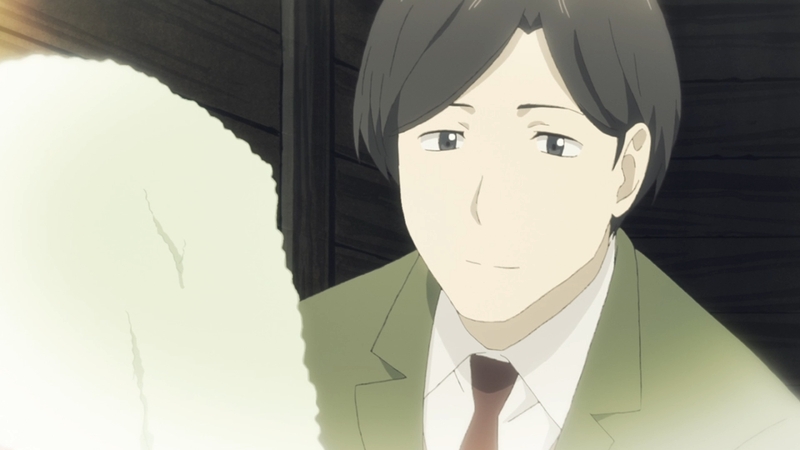 I’m just glad Natsume did what he did at the end or else this would have been a rather depressing episode. Natsume as a series is one that can be pretty hard on the heart, but it is such a strong show. Just makes you continue to care about the new characters and the old.